WBro. Donald Wilson (Grand Lodge of Hawaii representative to Australia) has been on the road lately, representing MW Frank M. Condello II and the Hawaii Masonic Jurisdiction. Below are a few pictures documenting his travels. WBro. Don Wilson, WBro. 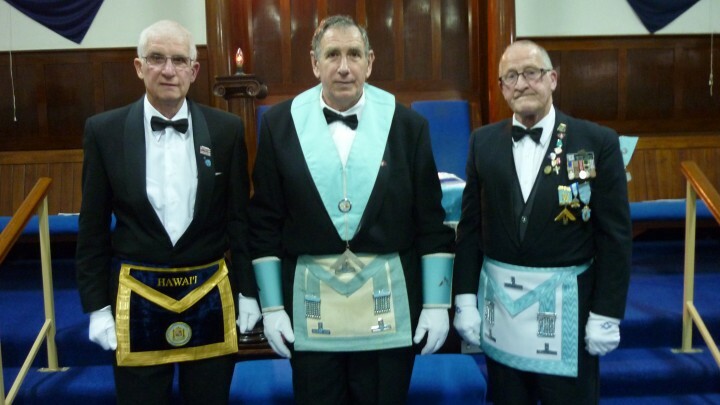 Wayne Young (WM Metropolis Lodge 895) and WBro. Peter Wardley (IPM Orana Lodge 836). WBro. Don Wilson, WBro. Eddie Woods (WM of Watsonia Daylight Lodge 870), WBro. 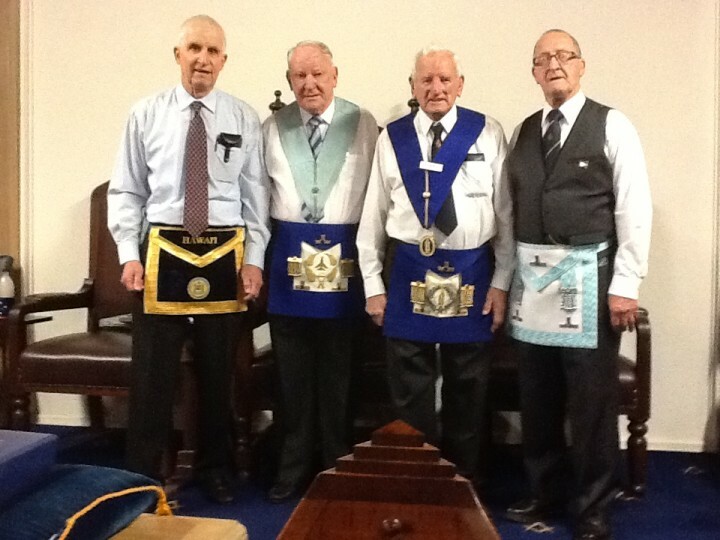 Len Jinnette (IPM Darebin-Rotherwood Lodge 306) and WBro. Peter Wardley (Master-Elect Watsonia Daylight Lodge 870). Other lodges visited: Packenham Lodge 496, Whittlesea Lodge 256, Doutta Galla Lodge 902, Killara Lodge 259, and Weston Street United Lodge 94.